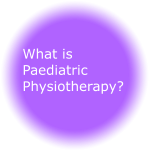 What is Paediatric Physiotherapy For? 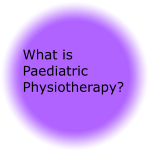 What is Paediatric Physiotherapy? Like all other Physiotherapists. the specialist Paediatric physiotherapist is concerned with movement, posture, co-ordination and cardio- respiratory function. Whilst similar to Sports physio in some ways, the Paediatric physio takes into account that the child is still growing and developing, so the treatment programme is highly specialised and targeted. 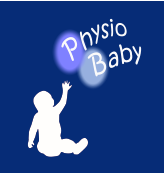 Paediatric Physios work with newborns, babies, toddlers and school age children up to 16 years of age and they treat any child that has any difficulty with their physical development. 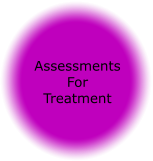 Treatment is given by the physio only after an accurate assessment has been made, then an individualised programme for that child will be devised. 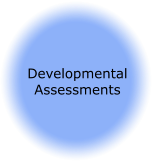 The treatment approach will depend on your child's individual circumstances. As well as treatment, the Paediatric Physio guides and supports, gives advice on regular massage, play, toys, furniture, appropriate footwear and when necessary, special equipment. Paediatric physios explain which exercises are appropriate for the child in order to enhance well being and quality of life. They help the parents devise home exercise programmes, which are beneficial to the child. Paediatric Physios are those that have specialised in several years post graduate work, after obtaining an undergraduate Physiotherapy qualification. 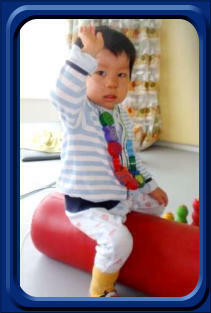 Performed gently and without pain, Physiotherapy can be a great deal of fun for both child and parent.